Oceanarium offers a great day out for all the family. Located next to Bournemouth Pier get up close to our watery friends and learn all about them, without having to get wet! The aquarium has a number of different areas for you to explore and a giftshop to buy a souvenir of your day. The Amazon display looks at the wildlife from the worlds largest river. Expect to come across the feared Piranha or Ziggy, the rescued green iguana. In the Africa display you will find species from places such as the Nile and Lake Malawi. Most of the freshwater in Africa is carried across the continent by the Nile and Lake Malawi contains the largest number of fish species of any lake in the world, with at least 500 recorded! Some of the species you will find at the Oceanarium include the Featherfin Squeaker, a form of catfish, and the Zebra Cichlid, native only to Lake Malawi. The Ganges display informs visitors of species found in The Ganges, a river stretching across northern India and Bangladesh. Here you will find the pig-nosed turtle, named so because of its elongated, fleshy, pig-like snout, and The Chinese Water Dragon, a type of medium-sized lizard that commonly lives in the vegetation above freshwater rivers and lakes in Southeast Asia. Home to thousands of species, the Great Barrier Reef covers an area of 350,000 sq kms and is made up of around 2,100 individual reefs and 800 island or coastal reefs. The Great Barrier Reef display at the Oceanarium includes species such as the Giant Moray Eel which has a dangerous bite, and the Atlantic Pork Fish, which has a striped yellow and silvery blue body with yellow fins and 2 vertical black bars. The Abyss display showcases the creatures from the deep, like the Common Spiny Lobster and the Common Octopus. Meanwhile The Key West display pays homage to the Florida Keys and expect to come across the Guitarfish, a type of ray, and the Zebra Horn shark. And in the Marine Research Lab you will find some strange and unusual inhabitants like the porcupine pufferfish and the clown fish. But it is not all just fish! 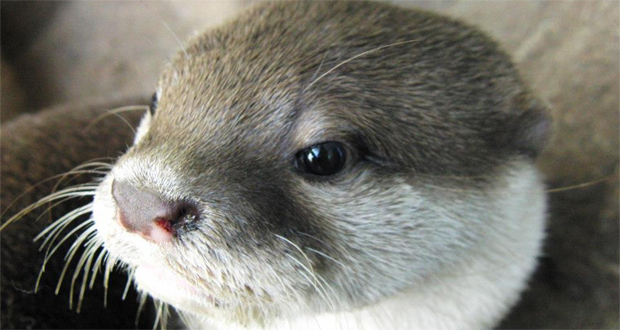 There’s also the Otter Oasis and the Reptile Sanctuary to explore! Home to a family of small clawed otters, the Otter Oasis display has a bamboo forest, pools and streams for them to play in. And over in the Reptile Sanctuary you will find some of the Oceanarium’s scalier creatures including horsefield tortoises and spiny tailed lizards, and new for 2014, ‘Crocodile Rocks’, home to a pair of Morelet crocodiles! Other attractions include the Dive Cage and Global Meltdown. The interactive dive cage “submerges” you into the ocean allowing you a 270 degree view of life below. Touch screens allow you to play with dolphins but watch out for that Blue whale which swallows you whole! And Global Meltdown allows you to experience what it would be like if the ice caps melted. Interactive features allow you to find out how serious this would be and you can even measure the effects of your carbon footprint. The Oceanarium has a variety of daily feeds and talks taking place which offer a great chance to see the animals in action and learn even more about them. After a day learning and interacting why not take a break at the Offshore Cafe. Enjoy hot and cold snacks and a range of drinks alfresco on their beachside terrace. And don’t forget your souvenir from The Cove giftshop, you’re bound to find something interesting and unique here! Open from 10am the Oceanarium is fun, informative and exciting!